Martha Reeves loves her Guinness. This was just one point we took away from her spellbinding performance at the Cavern on Sunday, August 13. As soon as the 76-year-old Motown superstar made her way onto the Cavern stage in a glitzy number and hefty musical note earrings the crowd went wild. Men and women howled and wolf-whistled at the sultry siren in front of us. Glistening with sweat after the first track Martha and her group made contact with the gig-goers, thanking them for their support over the years which has kept her alive. Their dedication and determination roared through a set-list of classic sixties songs we all know and adore but never attribute to Martha herself. Watching her dance with a tambourine in her hand with her trusty backing singers as part of The Cavern's 60th birthday celebrations in conjunction with Smooth Radio. Rocking rhythms were met by a triumphant performance from her stellar backing band made up of renowned musicians, making the sold-out back room of the Cavern damp and sweaty, a perfect underground gig. 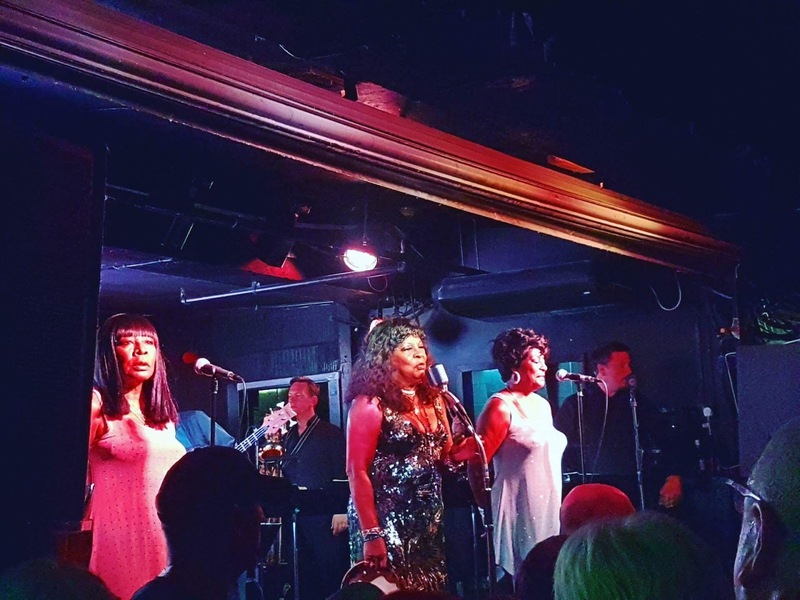 And my has she still got it - it's hard to believe that its been more than 50 years since she and the Vandellas made their mark on the soulful Motown sound as she has energy that belies her age. Gospel tainted fan favorites such as 'Nowhere to Run' and 'Jimmy Mack' came early on in the set, offering a high-octane and tasty set full of tributes to ex-Vandellas drummer Marvin Gaye, Sam Cooke and Stevie Wonder. A place was found for tributes to her favourite Motown producers and even adding her own tales of how she and Vandellas got their new dresses and shoes dirty when they first visited the 'coal-mine' Cavern in the 60s.